Oven Temperature: Is It Really All That Accurate? It might not be as accurate as you think it is and seriously be hurting your recipes. Ovens, we use them pretty much every time we want to bake or cook something for long periods of time. For most people, using the oven consists of punching in a few numbers to heat it up to the right temperature. For others, it’s as simple as turning the dial to the desired temperature before popping in your desired food item. Well, the words “preheat” will never sound the same again. There are a few reasons why you should not trust your oven’s temperature gauge. Now, what is the best way to describe an oven? If you thought firebox, then you aren’t too far off. An oven’s use boils down to keeping as much of the heat inside as it can. The entire concept is based on not allowing that searing heat to escape into the air, but instead keeping it in a small space, so your desired food items can cook. 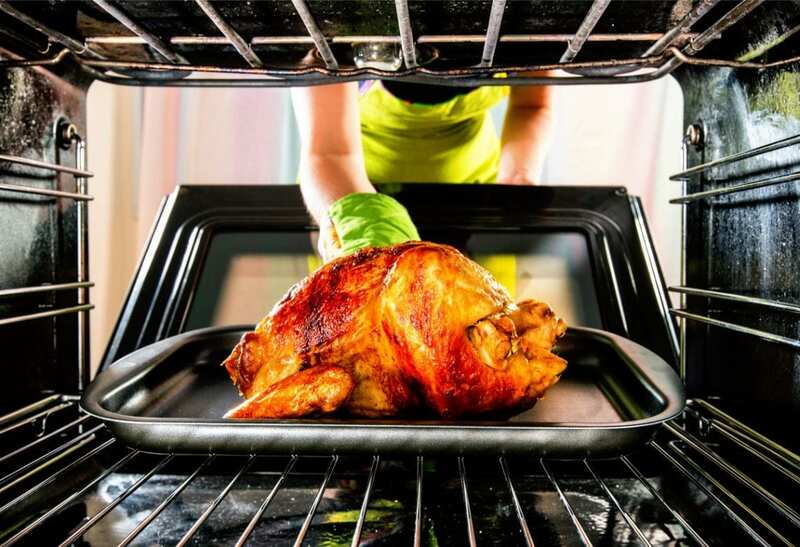 The temperature of an oven can vary wildly and is not always consistent. In fact, your temperature gauge is far more unreliable than you may have thought. Ever wondered why so many recipes mention preheating your oven too, say, 400 degrees before baking something? It’s easy to assume the oven will stay at the correct temperature. In reality, the oven is only heating up and shutting off. The temperature in the oven is between 390 and 420 degrees. Even more modern ovens use this same system as well. Because the heat source of the oven turns on and flicks off to moderate the temperature, it’s not a very effective system, but it’s better than having to start a fire in a brick oven. So, if you can’t control the temperature of your oven down to the last degree, what can you do? Well, the only way to truly fix the issue is to invest in an instant-read thermometer. The kind that you stick to food. Most of the time, you will probably have no problems with your food cooking. However, sometimes it’s good to turn the temperature up by 25 degrees if you feel your food is coming out of the oven undercooked. An instant-read thermometer will not only tell you if your food is the correct temperature, but will let you know if it’s safe to eat or not. It’s sad but true. You cannot truly trust the temperature gauge on your oven. It’s unpredictable, but not to the point where it’s impossible to cook things in the oven. Most of the time, the best way to monitor food is to check for the scent, and visual cues food gives off when it’s finished cooking. There’s no real fix when it comes to ovens, or the technology has just not been invented yet. Either way, temperature gauges do not always tell the whole truth.